South Africa is a beautiful country, and should be on every tourist’s travel wish list. From its diverse culture, to its amazing flora and fauna, it is definitely the place to be. However, of all the places that one must visit while in this beautiful country, Table Mountain in Cape Town should be at the top of the list. This UNESCO world heritage site is famous all over the world for a reason. It is mesmerizing, and gives you experiences that you will remember for a lifetime. In case you are unsure about it, here are 4 reasons to visit and go up Table Mountain in Cape Town. One of the best experiences a tourist can have is to visit all of the wonders of the world. It is a wonderful feeling that is incomparable to anything else. You get a better perspective of our planet and how beautiful it is. If you are looking to visit all the wonders of the world, why not start with Table Mountain? This magnificent mountain was officially crowned as one of the 7 new wonders of the world in 2012, and overlooks Cape Town, one of the most beautiful cities in the world. It’s a worthy experience. There is a common perception that South Africa has a significantly higher crime rate than most developed countries. While such statistics do have an element of truth to them, they usually don’t apply to tourists. That’s because, crime is higher in the low-income neighborhoods, and you as a tourist, have no business going there. When traveling to Cape Town, just book your trip with an agency of high repute such as Nox Rentals. They will book you in high-end hotels where your chances of getting into harm’s way are minimal. Visit the NoxRentals site, for more information on how to stay safe in Cape Town, and enjoy your trip to Table Mountain. Table Mountain is famed for hiking, and is the place to be if you are looking to go on a hiking expedition with friends. Hiking guides will take you through different levels of hiking difficulty. If you are the adrenaline-charged type, then you can try all the high-risk maneuvers you want on this mountain. On the other hand, if you just want to enjoy a relaxing hike with friends and family, it’s still the place to be, as you enjoy the beautiful view of Cape Town. 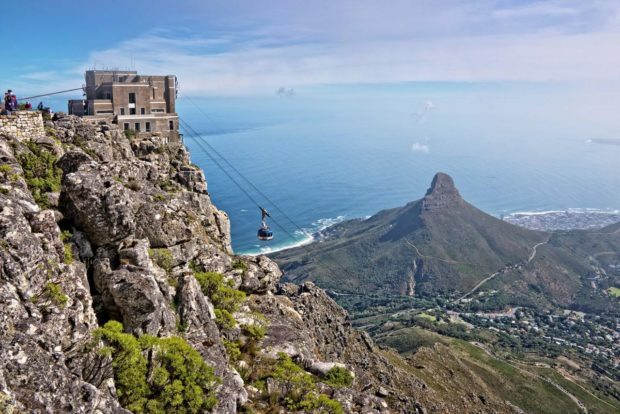 If you are into high adrenaline activities, then Table Mountain is the place for you. This mountain has the world’s highest abseil, which means you get to experience a level of thrill not found in many other places all across the world. The experience of dangling mid-air while viewing the beautiful city of Cape Town is worth trying out. It is simply unmatched. In fact, you won’t find many other places for Abseiling as beautiful as this one.